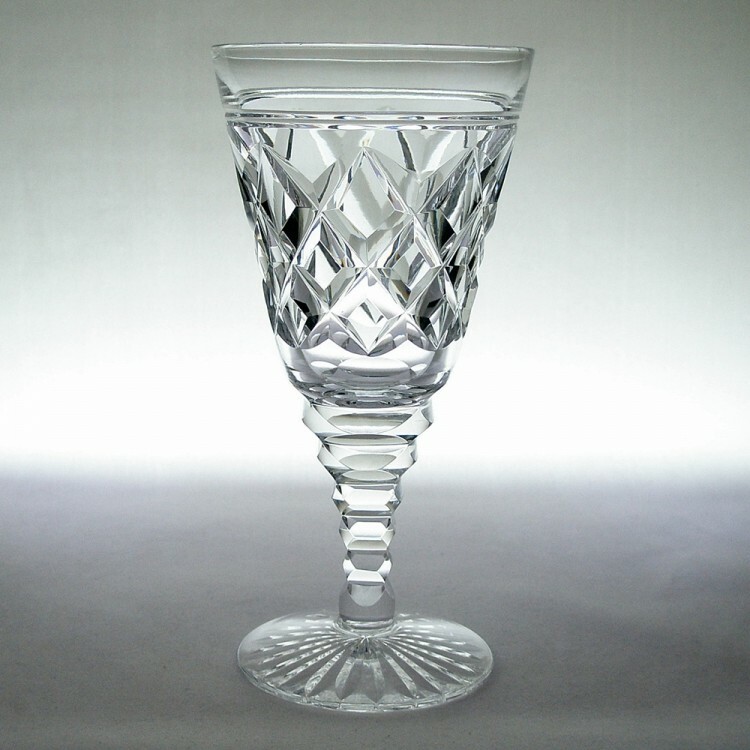 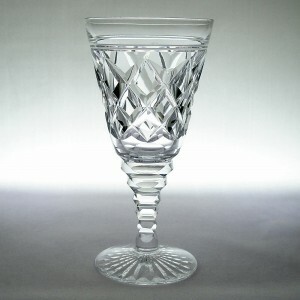 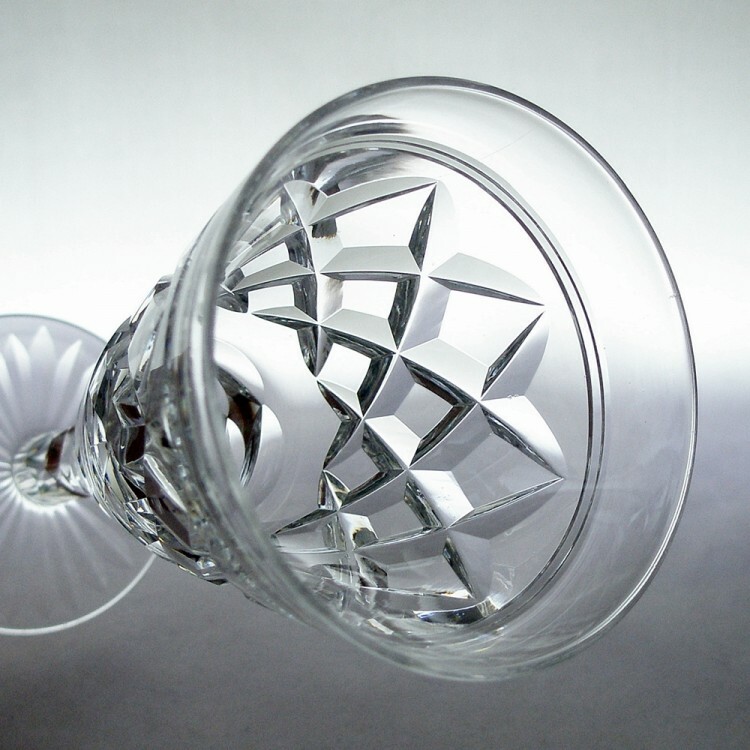 A lead crystal small wine glass made in England during the Art Deco period. 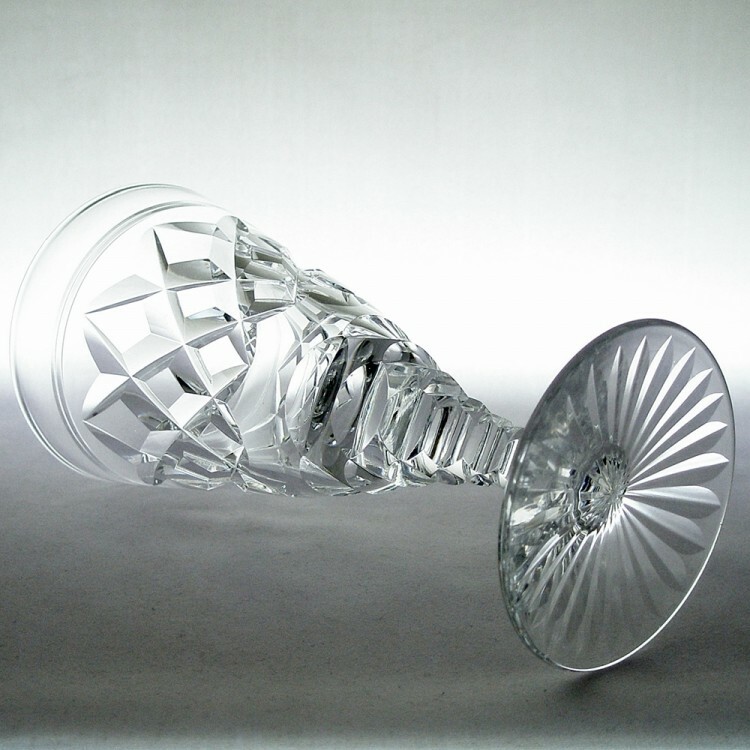 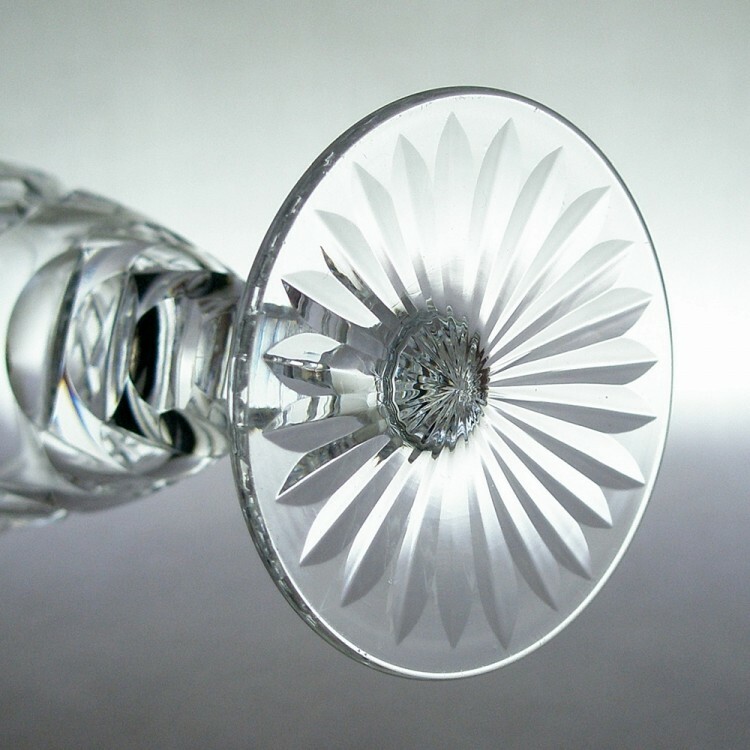 The drawn funnel bowl with cut banding and cut diamonds above an Art Deco notched cut stem and star cut foot. 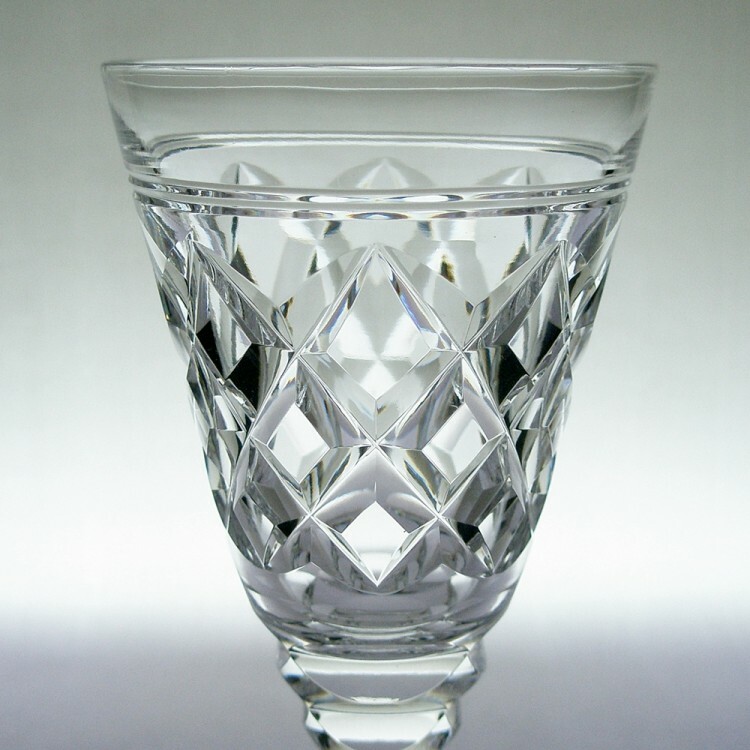 Probably produced by Stuart Crystal. 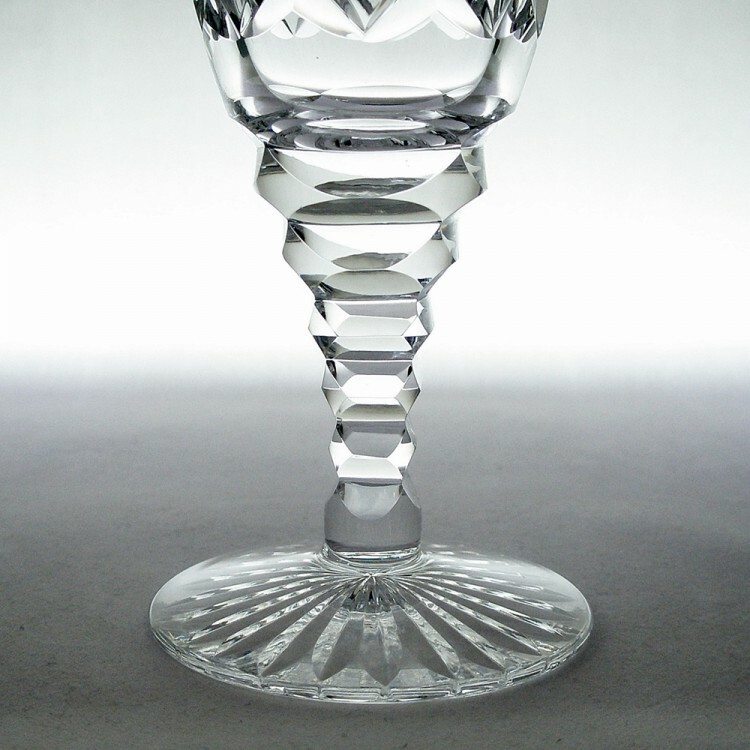 Excellent condition, no chips, nicks or staining.